How does your planning of learning experiences prepare students’ Path to Proficiency? Highlight Reel Or Highlight Real? How do you facilitate meaningful learning experiences for students on the Path to Proficiency? 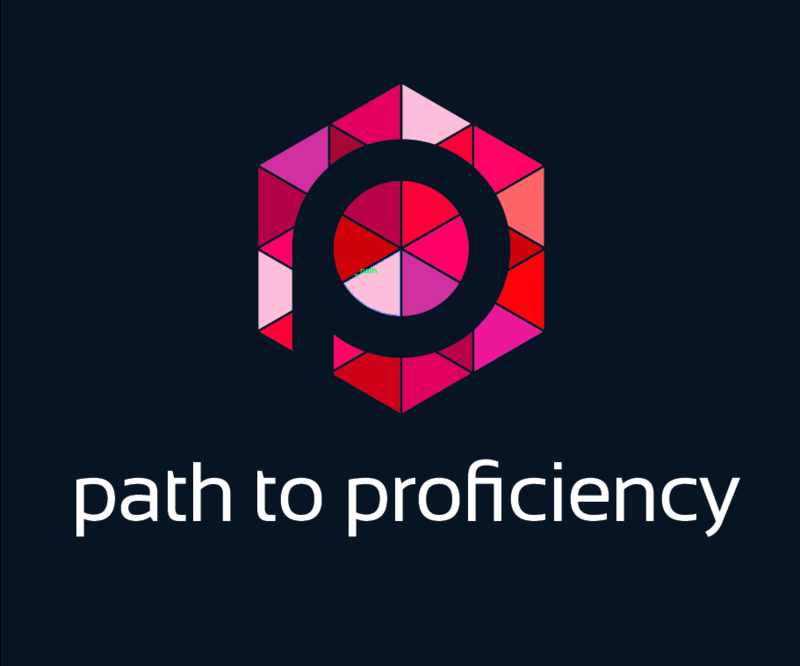 How do you and your students use performance & feedback on the Path to Proficiency? Interpersonal: are they talking with each other or at each other? How does your continued growth as a professional support you on the Path to Proficiency? Alyssa Villarreal, is the President of Advance Learning and World Language Coordinator for Shelby County Schools (SCS) in Memphis, TN. Ms. Villarreal holds two masters degrees (Curriculum and instruction and educational leadership). 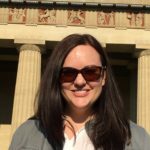 As the World Language Coordinator for Shelby County Schools (SCS), she coordinates the district’s language program, which includes programs in eight languages including Spanish, French, German, Russian, Latin, Japanese, Arabic and Chinese. Ms. Villarreal has written and directed three successful Foreign Language Assistance program (FLAP) grants in her nine-year tenure in SCS. The first was to build a K-12 Russian program and was received in 2007. She was one of eight World Language Coordinators nationally to receive a 2008 FLAP grant to build K-12 global villages in Japanese, Arabic, Russian, and Chinese. In addition to her district duties, she has worked as the Foreign Language methods instructor for the University of Memphis. She has served as program director of three STARTALK programs for Memphis City Schools, consultant to other STARTALK programs and a STARTALK site visitor. In addition to her district duties, she has worked as the Foreign Language methods instructor for the University of Memphis. She is currently serving as President of the National Association of District Supervisors of Foreign Languages (NADSFL) and was named the 2012 NADSFL Supervisor of the Year. 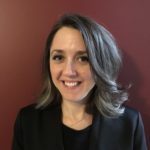 Amanda Robustelli-Price is a French teacher in northern Connecticut. 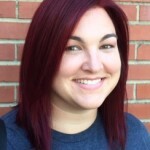 An educator passionate about preparing students for success in our interconnected world, Amanda has been in the field of education for fifteen years, having worked as a teacher, department coordinator, and teacher trainer. She is returning to teaching after staying home with her son, and is excited to implement her professional learning from her time away from the classroom. 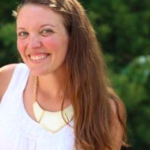 Betsy Taylor is a high school French teacher in Franklin, TN. She holds a B.A. in French from UT-Knoxville, Un Diplôme de Langue et de Culture from the University of Angers, France, and an M.S. in Secondary Teaching with an emphasis in World Language from UT-Knoxville. 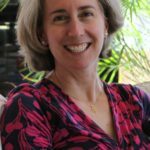 Over the past 19 years, she has taught all levels of French, 1-AP/IB, often participated in local and state curriculum writing, and regularly presents at the local, state and regional levels. She is a National Board Certified Teacher and is an active leader in TFLTA, where she has served as President and Conference Secretary, and was recently named the 2016 TFLTA Teacher of the Year. She is a passionate Francophile dedicated to spreading the joy of language and culture to her students and providing them with quality proficiency based learning. In her spare time she attempts to teach her cat, Gigi, French and serves on the board of the Scottish Society of Middle Tennessee. 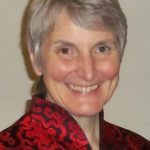 Colleen Lee-Hayes teaches Japanese in a public high school in Coquitlam (Vancouver) BC Canada. At age 17 she told her educator parents that she’d never be a teacher...and look where she is now! Her classroom is her laboratory and her teaching is a ‘hybrid’ of methodologies as she seeks to find what resonates with her students. Colleen tells her classes that her goal as a teacher is to help them develop the skills (& courage) to use their language in the ‘real world’. 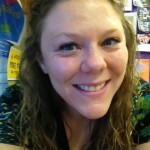 She blogs regularly and credits her involvement with the #langchat PLN for the evolution of her teaching. Colleen holds Bachelor degrees in Asian Studies/Japanese & Education and an MBA in Finance & Marketing. She has been a moderator with #langchat since 2013 and has presented locally/provincially in Canada as well at ACTFL. I have been teaching Spanish for the past forty years at all levels from elementary to college with the longest tenure at the University School of Milwaukee Independent School for the past 33 years. I have had the great privilege of co-leading our PK-12 World Language Department in a conversion from a traditional grammar-based program to an oral proficiency-based program with the help of Greg Duncan. I received my ACTFL oral proficiency certificate in October of this past year and just returned from spending a week at the Singapore American School observing the most phenomenal elementary school language program that I have ever seen. I am an AP teacher and reader. For 18 years I have lead a summer service trip to Panama to work with malnourished children. Jaime Basham is a high school Spanish teacher who enthusiastically incorporates humor and authentic realia in her classes. She has served on the revision committee for the Wyoming World Language Standards and has revised curriculum in Campbell County School District #1. Jaime holds an undergraduate degree in Spanish Secondary Education and is currently in pursuit of her masters in Curriculum & Instruction. She is a member of ACTFL, PNCFL, and the President of WFLTA. In the summers, when she isn't leading student groups abroad, she enjoys backpacking and fishing in the majestic mountains of Wyoming. She also enjoys playing disc golf, cooking, playing board games, and spending time with her husband and two cats. 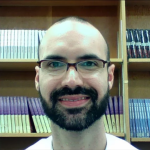 John Cadena teaches Japanese at the high school level for the North East Independent School District in San Antonio, Texas. 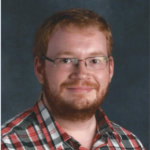 In addition to presenting at local, state, and national conferences on World Language teaching, he serves as a member of the Rubric Development Committee and New Teacher Training team for North East ISD World Languages. 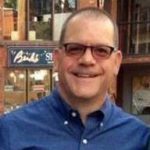 John regularly collaborates with other World Language teachers online, and has been a moderator for the #langchat discussion group since February 2015. 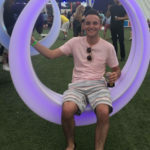 An avid reader of teacher blogs and Twitter feeds, John strongly advocates for educators taking their professional development into their own hands and building a professional learning network that models reflection and growth. Nicaraguan-born, Miami-raised, confused for Cuban world language teacher and enthusiast always up for the challenge of adding more. Lisa Werner is both high school German teacher and Department Chair of an inspiring group of World Language Teachers at Bozeman High School in Bozeman, Montana. Her formal teaching career began in Wyoming, continued in Ohio and brought her back home to Montana in 2004. She holds an undergraduate degree in German from the University of Montana, a M.A. in German Language from the University of Wisconsin-Madison and is certified in both German and ESL. Lisa is a member of the AATG, MALT, and ACTFL. She looks forward to spending June either leading students on travel/homestay adventures to Austria and Germany or participating in the AP Reading for the AP German Language and Culture Exam, after which she bask in the beauty of the Montana summer with her husband, Joel. Maris is a Middle School and Upper School Spanish teacher at an independent school. She earned her Bachelor's of Arts in Spanish and Art History in addition to her Master's in Teaching from the University of Virginia. Maris also loves collecting various authentic resources to use in her class. In addition, she has presented on how to incorporate technology into a proficiency based classroom at various conferences. She lives in Maryland with her husband and son, and she enjoys exploring the area around DC. Meredith White is a high school Spanish teacher and golf coach in metro Atlanta, GA. She is a Georgia transplant and earned her B.A. (Spanish), B.S. (Foreign Language Education), and M.Ed. (Foreign Language Education) from the University of Georgia. Currently, she is working toward her Ph.D.(Foreign Language Education) from, you guessed it, the University of Georgia. 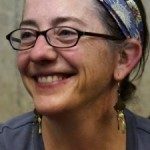 Over the past ten years, she has taught in private, public, and charter, urban, suburban, and/or rural settings. Her focus on novice learners works to ingrain proficiency, authentic resources, genuine tasks, student-centered thematic units, student-guided lessons, and making language-learning enjoyable. Addicted to collaboration and professional development, you can typically find her road-tripping to state, regional, and national workshops, both attending and presenting. 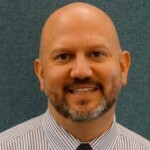 Paul Jennemann is the coordinator of an elementary school dual language immersion magnet program, has served on the curriculum revision team, and has facilitated district-wide professional development with Shelby County Schools (TN). Paul holds undergraduate degrees in Spanish and French and a graduate degree in Spanish with a focus on language acquisition and pedagogy. Paul lives in Memphis, Tennessee, with his wife and two sons, where they love to go to the park, go to the zoo, and cook together. Rebecca Blouwolff has been a French teacher at Wellesley Middle School in Massachusetts since 1998. 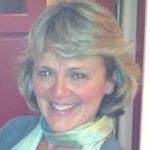 Her practice was forever changed by attending a 2014 workshop with Laura Terrill, co-author of ACTFL's The Keys to Planning for Learning. 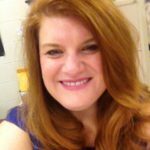 Since then, she has abandoned her previous hobbies in order to rewrite her curriculum, blog about thematic units, participate in #langchat, and provide professional development to colleagues in the Boston area. She holds a B.A. from Brown University and Ed.M. from Harvard's Graduate School of Education, served as a Fulbright Teaching Fellow in France, and is a candidate to become a National Board Certified Teacher. Saint Andrew’s School, in Boca Raton, Florida, is a PreK-12 day and boarding college preparatory school with 1,275 students from over 40 countries. Three of the school's language department teacher are sharing their reflections: Carolina Seiden, P.hD., is a passionate linguist, curious teacher, and adoring beagle mom. She is perpetually flawed and fortunate to have forgiving friends and colleagues. Currently, she is working as a language teacher and support staff for teachers’ use of technology in learning. Stephanie Shepherd is a second career language teacher. Her former life as an orchestral musician ignited her passion for learning languages, traveling, and living in different countries. She tries to pass on the torch to her middle school students. 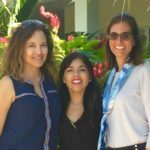 Elena Giudice considers herself fortunate to have lived and worked in international schools in France, Puerto Rico, USA, The Bahamas, and Malta. Her studies in Intercultural Communications influenced her personal and professional growth in such positive ways that she strives to reach her students not only in their language growth but in the development of their social-emotional and cultural intelligence skills. Elena is currently Chair of the World Languages and Cultures Department at Saint Andrew’s School. 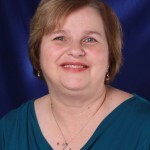 Sharon has recently retired as Instructional Specialist for Languages Other than English in Arlington Independent School District, Arlington, TX. In that capacity she oversaw the writing and implementation of curriculum for 32 courses in five languages. She was also instrumental in the establishment of two Fine Arts Dual Languages Academies, as well as FLES programs in Chinese and Portuguese. She has directed five successful STARTALK programs in Arlington. 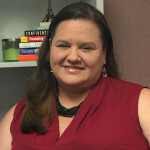 Sharon has served as President of the Texas Foreign Language Association and continues to be active in the profession in her role as a collaborator on the TELL project and as a consultant to various school districts. Thomas Sauer is the Director of Design and Communication for AdvanceLearning and an independent consultant. 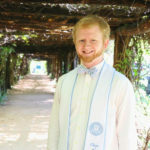 He previously held positions as world language specialist in the Fayette County Public Schools and Jefferson County Public Schools for almost ten years and taught German at the University of Kentucky, Georgetown College and Kentucky Educational Television. He has directed a variety of state and federal grants, most recently as program director and consultant for several successful STARTALK programs. Thomas has served as President of the Kentucky World Language Association as well as on the Board of the American Council on the Teaching of Foreign Languages, the National Association of District Supervisors of Foreign Languages and the Central States Conference on the Teaching of Foreign Languages. Named the 2011 Pearson/NADSFL Supervisor of the Year and a 2010 Global Visionary by the World Affairs Council of Kentucky and Southern Indiana, Thomas is passionate about helping educators making the shift from teaching to learning. Tim has been a teacher of French and Spanish for 28 years and has been an instructional leader since 2006. He's served on the board of directors of the Massachusetts Foreign Language Association since 2008 and as president for 2017. He holds a B.A. in French and Spanish, and an M.A. in critical & creative thinking with a focus on second language acquisition and curriculum development. He's particularly interested in effective program design and instructional practices. Timothy is a third-year Spanish teacher in the Andover Public Schools. He holds a BA in Spanish and Secondary Education from Worcester State University. He has seen the power of proficiency in both his teaching and his own learning. Although he is new to the profession, teaching for proficiency is all he knows, so he feels blessed to have started his career so recently. Valerie Shull teaches Spanish for elementary and middle school children at Rogers Park Montessori School, where she's been on staff for twenty years. During her time at RPMS she’s worked with children age four to fourteen. The rubber hits the road in her proficiency-focused program during her school’s annual 8th grade travel/homestay trip to Costa Rica, which is recognized by ACTFL’s Global Engagement Initiative. 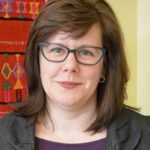 Valerie is passionate about working toward language proficiency with children, improving her own practice and supporting teachers in their journey. She is a regular conference presenter on the topic of language proficiency in the early years and is a member of NNELL, AATSP, and ACTFL, where she currently serves on the Global Engagement Committee. Valerie works and lives in Chicago with her daughter, a young global-citizen-in-training.